Still from Gotham City SF. 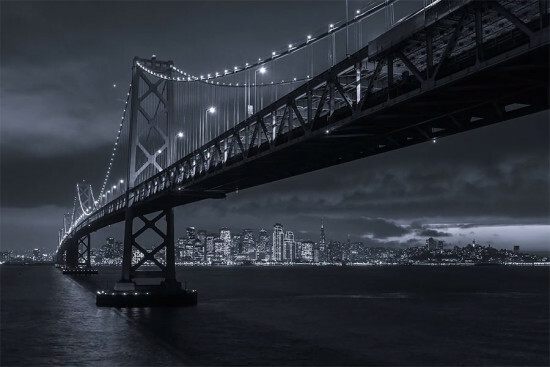 This black-and-white time-lapse video by Toby Harriman shows San Francisco at its most dramatic. 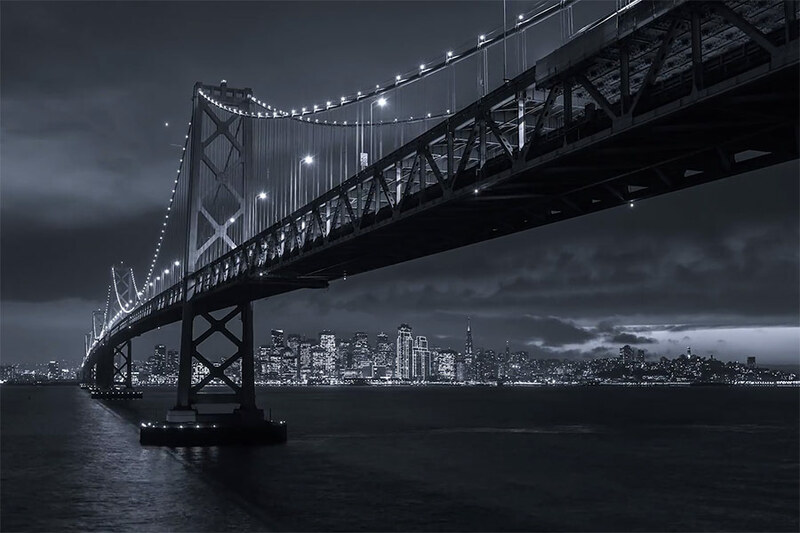 The skyline emerges quietly from its famous fog as the city and its bridges twinkle in the distance—including Leo Villareal’s Bay Lights installation. As the music builds, Gotham City SF picks up pace, showing dramatic angles at high speeds completely appropriate for an action thriller. You’d have to watch to really understand. This idea came from the aether; it emerged over time. Several years ago (2012) while exploring my passion for black and white photography I found myself wandering into a look I call ‘Gotham’…I have collected and edited this footage while juggling my freelance career and time working at Lytro (a new camera technology). The film’s score was created by UK-based James Everingham and serves to heighten the drama of the city. The Gotham City SF logo was designed by David Hultin.